APEX (and Super APEX) fares are airline fares that usually discounted because they have advance purchase requirements. APEX stands for Advance Purchase Excursion Fares. APEX fares can be among the lowest scheduled fares advertised by an airline. Airlines typically discount fares in one way or another but look for restrictions such as having to purchase the ticket a certain number of days beforehand (typically 14 to 28 days) or a minimum stay requirement (seven days or over a Saturday night). Under the APEX fare structure, you cannot change the flight times or date of travel. A Super APEX fare is in the cheapest fare group. This group includes the fares with the prefix "super" such as "super-apex" and "super-pex." These fares have even more restrictions, starting from a deadline to purchase the ticket and blackout days when you cannot use this low fare. APEX fares are typically non-refundable and may have many other restrictions. Cancellation of an APEX fare trip usually results in higher than normal penalties. When you cancel, you may lose the majority of the fare or, if you are lucky, the airline will give you some sort of credit toward a future flight. But never expect a refund. Airlines typically sell airfares by a one way or round trip. Most travelers end up with an airline's published fares (or regular fares), which can vary greatly over time. These are the most expensive. However, airlines also offer other fares, including negotiated fares (typically with companies or government agencies). An example might be military fares, as well as consolidated fares. Consolidated fares are typically offered through third-party providers (or consolidators). Excursion fares are another type of discounted airline fares. Excursion fares are typically cheaper than full fare, but also have restrictions, such as weekend stays, advance purchase, and times of the year when you can use them. Airlines sometimes also offer discount fares. Discount fares are typically offered for a limited time. For example, about every two weeks JetBlue sends an email highlighting a limited number of discount fares that are being offered for a limited time and between limited destinations. Make sure you check the details before booking a discount fare, and also make sure to save the details associated with the fare, so you can reference them later on if needed. If you are a business traveler or don't have flexibility in your travel plans, discount fares are typically only good on the off chance that your planned trips coincide with the specific sales and requirements that the airlines are offering. Unrestricted fares (sometimes known as full fare) are the most expensive fares offered for a route and typically provide the most flexibility and options. They may be the only fares available on the day of travel or under short notice. 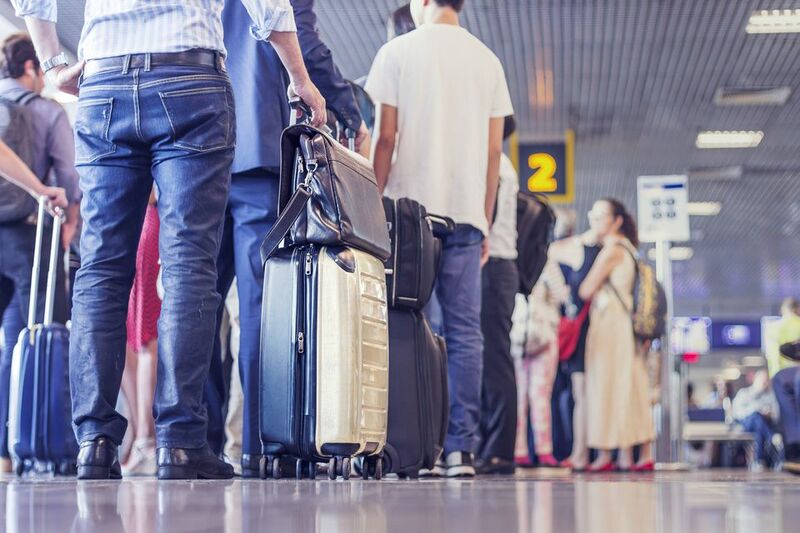 Many business travelers frequently fly on unrestricted fares because they schedule at the last minute or have business travel needs that require additional flexibility. Getting the best airfare requires a little bit of planning, but it's usually worth it. Sign up for your favorite airlines' email notifications. Then you'll be the first to know when low fares are announced. Many airlines offer a low fare on certain days of the week. If you can be flexible, move your travel plans a day or two and you may qualify for the lowest fare. Watch the add-ons. If you find a low fare, check the price for checked luggage. A high checked luggage fee (and other add-ons) may make the fare higher than a competing airline's fare. So price it all out before booking. Monitor the websites. Fares can change several times during the day. Know the highs and lows of your ticket price range. If you see an airfare that you want today, you need to book it today. Otherwise, it will be gone tomorrow.